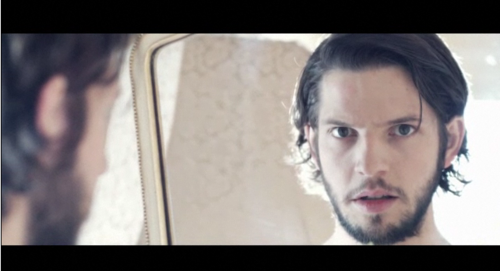 Damien Molony is an Irish actor of stage, television, radio and film. Born 21 February 1984, he grew up in Johnstown Bridge, County Kildare, Ireland but is now based in London. Damien’s interest in acting began when he was just 3 years old (1) and as a child was mesmerized by the magic of film and television (2) and knew he was going to be an actor one day (3). Ironically it was his love for film that lost Damien a place at The Drama Department, Trinity College, Dublin, when in his interview he gave the sweeping camera shot in the opening of ‘The Lord Of the Rings’ as the ‘most important cultural moment of 2002’. (4) But this spurred him on to gain practical and acting experience for his portfolio for when he next applied to performing arts schools. After graduating from Trinity College Dublin with a Business and Politics degree in 2007, Damien toured Ireland with the Balally Players in the one-act play Riders to the Sea, which went on to win in the final at the One-Act Drama Festival with Damien being nominated for best actor. He also worked with Kildare Youth Theatre and appeared in their Irish premiere production of Moira Buffini’s A Vampire Story playing Mint, as part of the National Theatre London’s New Connections programme. He then successfully landed a place on a 3 year BA hons acting course at Drama Centre London (2008-2011). During his acting degree Damien had roles in a number of theatre productions, including Edmund in King Lear at Shakespeare in Styria in 2010, Fraser Cullen in A Russian In The Woods and Compass in A Cure For A Cuckold. Damien’s professional acting career began even before he had graduated from drama school and has continued on a steep trajectory. In his first year, Damien was selected to play the male lead in film short When The Hurlyburly’s Done (2010) which went on to win many awards including Best Narrative Short at Geneva Film Festival, USA. He was offered the role of Giovanni in John Ford play ‘Tis Pity She’s a Whore after being spotted in his drama school showcase, which ran from 7 – 28 May 2011 at the West Yorkshire playhouse. Damien went on to win the 2012 Ian Charleson Award second prize, for his performance. 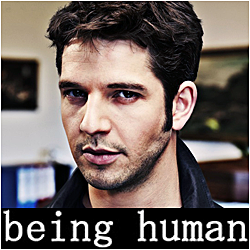 While he was making his television debut in Being Human in 2012, Damien landed a lead role in a National Theatre production Travelling Light, Nicolas Wright’s ‘love story’ to early cinema. The play had a long five month run from January to June, both at the National Theatre and touring across the UK, with a live cinema broadcast worldwide as part of National Theatre Live 9th February. 2012 also saw Damien’s first performance with WordTheatre, who bring “the world’s best contemporary literature to life through live performances.” Damien gave readings at Latitude Festival, Adam Street Club London and Chatsworth House. Anders Lustgarten’s politically charged ‘without decor’ production If You Don’t Let Us Dream, We Won’t Let You Sleep at the Royal Court Theatre, London, found Damien playing three contrasting characters for his next stage work, in an intense three-week run early 2013. The play, a dystopian commentary on capitalism and inspired by the occupy movement, was featured in an in-depth item on the Channel 4 News. In 2013 Damien also made his radio debut in two BBC Radio NI Dramas, Student Stories and The Hill Bachelors, both airing on BBC Radio 4. 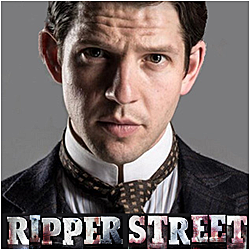 Damien then appeared in his second substantial TV role as Detective Constable Albert Flight in the second series of BBC Victorian drama Ripper Street, airing in the UK November – December 2013 on BBC One and in the US February – April 2014 on BBC America. Ahead of the Ripper Street 2 finale in the UK, Damien was back on BBC Radio 4 as James ‘the Soul Surgeon’ Clifford in BBC NI Radio adaptation of Roddy Doyle’s The Commitments, which aired 15 December. 17 January to 8 March 2014 saw Damien in a successful UK theatre run of Dan O’Brien’s two-man play The Body of an American at The Gate theatre and the Royal & Derngate. He portrayed Dan O’Brien in the play, but both actors played multiple roles. 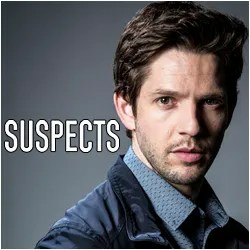 Damien’s next TV role introduced us to DS Jack Weston, the leading male character in brand new innovative Channel 5 cop drama Suspects, airing February / March 2014. At the end of Series 1, Channel 5 announced a further two series of the drama, returning Autumn 2014 for series 2 and 2015 for series 3. A month later in April, it was confirmed that Damien had been cast in and completed filming on his first feature film Kill Your Friends as the character Ross. Based on the book by John Niven, the film was announced for a 2015 release. 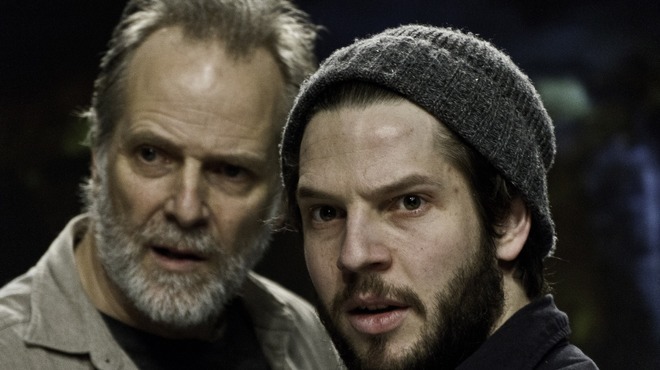 DS Jack Weston returned to UK TV from 20 August – 28 August 2014 in Suspects series 2. The short but well received season comprised two 2-part specials (4 episodes) with many UK drama and soap alumni guest starring. Damien’s voice returned to the airwaves shortly after, as the actor reader for BBC Radio 4 Poetry Please Yeats special 31 August 2014, reading 5 classic W.B Yeats poems. Throughout August and September 2014, Damien tweeted a series of clues about filming for a new film role in Jordan. The feature film was revealed to be Tiger Raid, which completed post production in 2015. At the end of September, Damien was back performing with WordTheatre giving two readings at Heartstrings: Bittersweet Love Stories. It was announced in October that Damien had joined the cast for upcoming National Theatre production of Sir Tom Stoppard’s The Hard Problem. Tickets sold out for the much-anticipated production in just two days. In November 2014 a new TV role was announced for Damien, in brand new Irish RTÉ drama Clean Break, playing character Danny Dempsey. The series filmed in Wexford, Ireland during November and December 2014. An early Christmas present arrived 24 December 2014, with the release of Damien’s first audio book Raven, comprising a full 5 CDs of narration, including an impressive range of voices and accents for all the characters. The beginning of 2015 saw the return of DS Jack Weston in Suspects Series 3, airing on Channel 5 for 4 episodes 13 – 21 January. At the end of the final episode, series 4 was announced for summer 2015. It was also announced that all four series of Suspects will air in Australia. Damien returned to the National Theatre stage as the character Spike in Tom Stoppard play The Hard Problem 21 January 2015, alongside Olivia Vinall. The sell out production was also broadcast live to cinemas across the world by National Theatre Live 16 April. 15 February 2015 saw Damien back on BBC Radio 4 programme Poetry Please reading Sailing to Byzantium By WB Yeats. 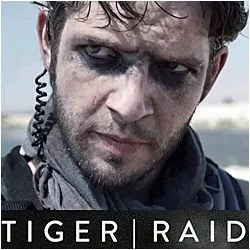 Also in February 2015 Damien was official confirmed as appearing in Tiger Raid alongside Brian Gleeson and Sofia Boutella, with the release of the first official promo photos for the film. In March, Damien was announced as cast in new HBO drama pilot The Devil You Know, as character Robert Putnam alongside Eddie Izzard and Karen Gillam. The drama completed filming in Boston, USA at the end of 2014. The pilot is yet to be picked up to series. Damien was the actor reader on two consecutive broadcasts of BBC Poetry Please 14 and 21 June 2015, making his third and fourth appearances on the world-renowned BBC Radio 4 programme in a special Bloomsday programme and ‘June Miscellany.’ He read 8 works from a variety of poets on each episode. 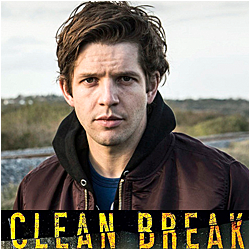 Damien appeared as Danny Dempsey in suspenseful crime drama Clean Break, on Irish TV channel RTÉ One. The four-part series written by Billy Roche aired from 27 September – 18 October 2015. Damien’s first feature film Kill Your Friends premiered at Cannes Film Festival March 2015. The film opened at cinemas in a UK / Ireland 6 November 2015, with further theatrical releases worldwide and a US release 1 April 2016. In October and November 2015 Damien filmed new episodes of Suspects, the first unofficial confirmation of a fifth series. Soon after, Suspects Series 4 aired, 25 November – 16 December 2015 on Channel 5, comprising 4 episodes. 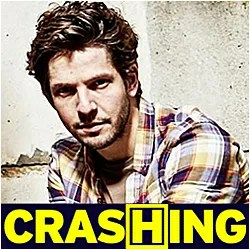 Christmas came early in 2015, when in December Damien was announced as cast in Crashing, written by Phoebe-Waller Bridge, who also starred. Damien appeared as Anthony in series 1 of the comedy from 11 January – 15 February 2016 on Channel 4. In April 2016 Damien’s feature film Tiger Raid making its world premiere at Tribeca Film Festival New York, where it was met with critical acclaim. Later that month Damien was announced as joining two of acting’s finest legends, Sir Ian McKellen and Sir Patrick Stewart, in Harold Pinter Play No Man’s Land, with a UK tour before a run in London. 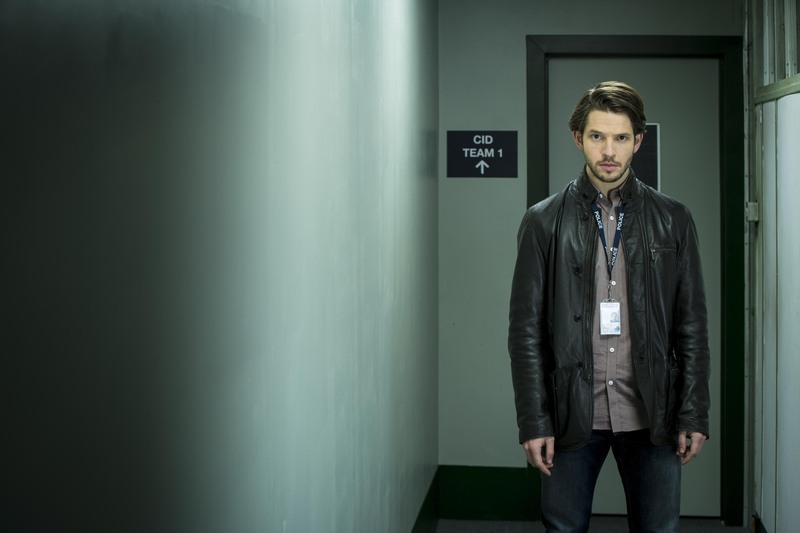 Damien was next seen on UK TV screens when Suspects returned for a fifth series 3 August 2016. His character DS Jack Weston was central to the series, which had a newly developed format and a new lineup, with Damien’s former Being Human co-star Lenora Crichlow, Perry Fitzpatrick and James Murray joining the cast. On the same day, Damien was also back on the stage in No Man’s Land. The production began its UK tour 3 August, before a run at London Wyndham’s Theatre 8 September – 17 December 2016. A worldwide live cinema broadcast 15 December saw Damien in his third National Theatre Live performance. Damien’s voice was back on the airwaves 26 February 2017 when he returned to BBC Radio 4, reading Bottle Man as part of a series featuring specially commissioned short stories by some of Ireland’s most exciting writers. In the same month he was announced as cast in GameFace, a comedy drama sitcom written by and starring Roisin Conaty. 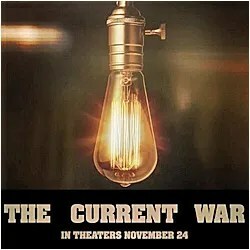 Damien revealed in March he would be appearing in feature film The Current War, a biographical historical film about the ‘war of currents’ between electrical pioneers Thomas Edison (Benedict Cumberbatch) and George Westinghouse (Michael Shannon), playing the character Bourke Cockran. The movie world premiered at Toronto International Film Festival 9 September 2017 and is set for a postponed theatrical release in 2018, as yet unknown after the Harvey Weinstein scandal. 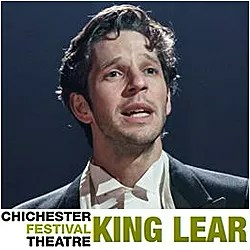 Damien made his return to the stage 22 September 2017, appearing in the Chichester Festival Theatre production of King Lear until 28 October. He played Edmund alongside Sir Ian McKellen (in the titular role), Sinead Cusack and Jonathan Bailey. Appearing in a pivotal role as the character Jon, his return to TV came when GameFace premiered in the UK 12 October on TV channel E4. Soon after, the series reached international audiences via Hulu (USA), ABC Comedy (Australia) and TVNZ (New Zealand). In January 2018 Damien appeared twice on BBC Radio 3, starring as the male lead in two Drama On 3 productions, both substantial radio plays – as Giovanni in Tis Pity She’s A Whore by John Ford, 7 January, and as Tristan Frey in Lucy Prebble play The Effect, 28 January. In yet another major radio role, Damien starred as Judas in Lucy Gannon radio drama Judas, March 2018, broadcast in five parts on the lead up to Easter on BBC Radio 4. 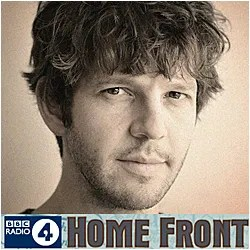 Continuing his run on BBC Radio 4, Damien joined the cast of WW1 serial drama Home Front in June 2018, appearing as Hardy Walsh. 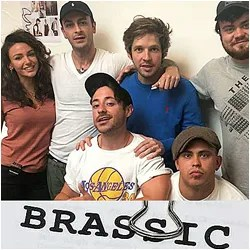 In August 2018, Damien was announced as cast in ‘edgy’ new Sky One comedy drama Brassic, alongside Joe Gilgun and Michelle Keegan. He completed filming December 2018, the series will premiere in the UK and Ireland in 2019, with an air date yet to be announced. On 10 October, Damien Guest starred in new comedy web series Right Now, written by and also starring Rob Cawsey. He plays the character Jamie in the first episode of the series, based on Grindr hook-ups. 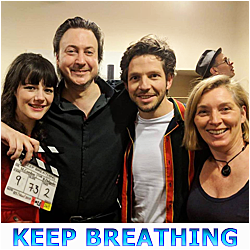 Damien will appear in Keep Breathing in 2019. Inspired by the #MeToo movement, the short film about sexual consent completed filming in March. 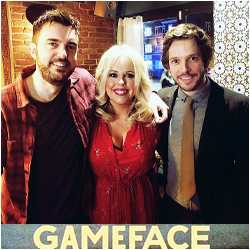 In March 2019 Roisin Conaty shared behind the scenes photos featuring Damien, revealing GameFace series 2 had began filming and confirming he will be appearing. The new series will air later this year (air date tba) and moves from UK TV channel E4 to Channel 4. Like the first series, the second will also again be available on HULU in the US.